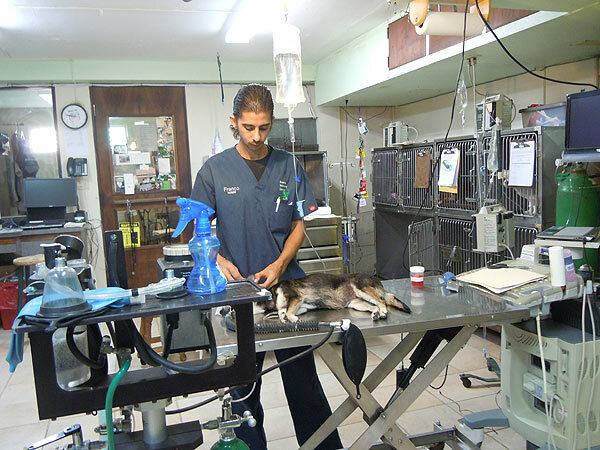 At the Hospital Veterinario Condado your pet is treated and cared for as one of the family. This 24/7 one-stop, state-of-the-art animal hospital will meet all your expectations and is the only one in the area that offers personnel caring service around the clock. 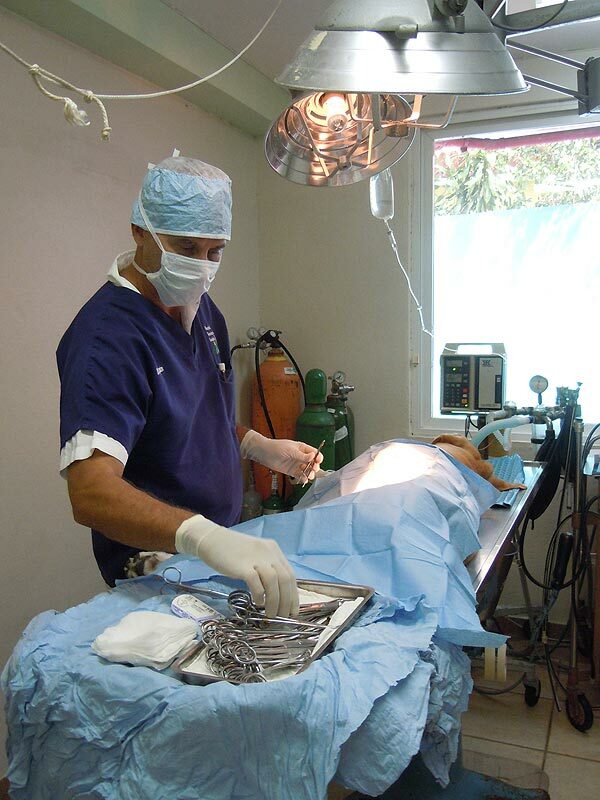 A total animal lover, Dr. Gabriel Castro is a well-known veterinarian with more than three decades of experience in the field. Your pet will feel like in a hotel, as soothing music is played for your loved one during their stay. Pampering is a priority, that’s why is no surprise to see puppies being carried around by staff. Spacious kennels are available for big dogs, while siblings are put together for a happier stay. Animals are walked several times a day in two indoor terraces and fed once a day or as needed. Boarding and daycare are also offered for rabbits, turtles, birds, and snakes amongst others. 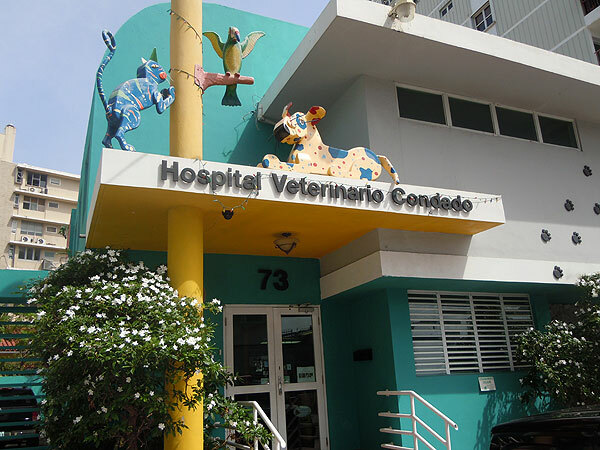 Other services available at the Hospital Veterinario Condado include: Full service veterinary health care (including high-tech digital radiography and sonography); Grooming; Pet care products, medicines & vitamins; Pet food (therapeutic & preventive diets); and Fleas & ticks treatment. 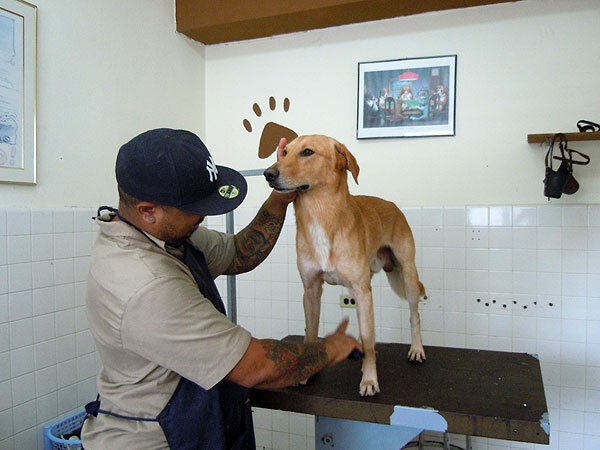 Hospital Veterinario Condado has also established the successful community service adoption program called Condado Strays, which serves the Condado area. Pick-up services and free parking are available for your convenience. Call for a free orientation!